Check out all the writing on this scarce card pointing out all the shops being built at the time. 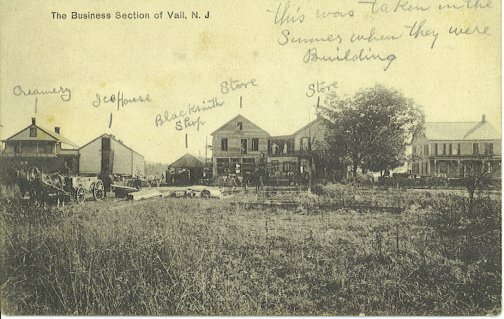 Really cool because Vail only had about thirty homes, but it had a railroad depot and a huge creamery at the time. Blairs railroad went right through the little town of Vail, now part of Blairstown of course. Special thanks to Brian Rhodes for sharing this post card and background information.